Founded in 1991, Banker’s Hill Law Firm, A.P.C. has provided its clients with personalized service throughout San Diego and California for more than 25 years. 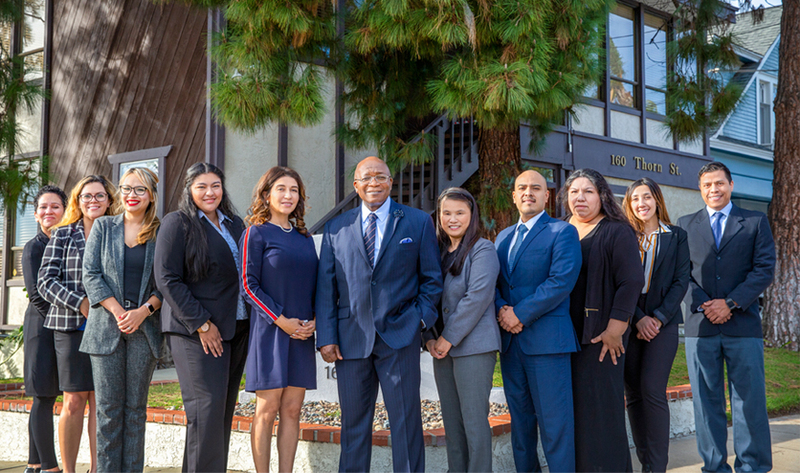 The firm’s team of trial and immigration attorneys is led by Principal Attorney Maxwell C. Agha, who over the years has provided assistance in countless US immigration law cases with a high success rate. We think of our office in San Diego as a virtual “United Nations”, due to the multi-culture and bi-lingual talents that our team of lawyers offer. This service makes it easy for clients who are Spanish, Chinese (Mandarin and Cantonese), Lao, Cambodian and Arabic to receive legal advice that they fully comprehend. We offer a free initial consultation in various areas of our practice and we have different payment options to choose from. We offer flat rate, hourly rate and agreements for contingency fees. Banker’s Hill Law Firm, A.P.C. has been successful because our attorneys are committed to providing excellent service and winning results, while adapting to the ever changing legal environment. At Banker's Hill Law Firm, A.P.C., you will receive personal treatment from our team of attorneys trained in the legal matters of your interest. Our firm's team of trial and immigration attorneys is led by Principal Attorney Maxwell C. Agha, who over the years has provided assistance in countless US immigration law cases and in many other areas of law with a high degree of success.